Our experience as a responsible and reliable sub-contractor to General contractors and Conract Managers for many large scale construction projects include one of the largest construction projects in Michigan, the C. S. Mott Children’s Hospital and Voightlander’s Women’s Hospital on the campus of University of Michigan, along with McLaren General Hospital, Beaumont, DCD, and many other local hospital rennovations. 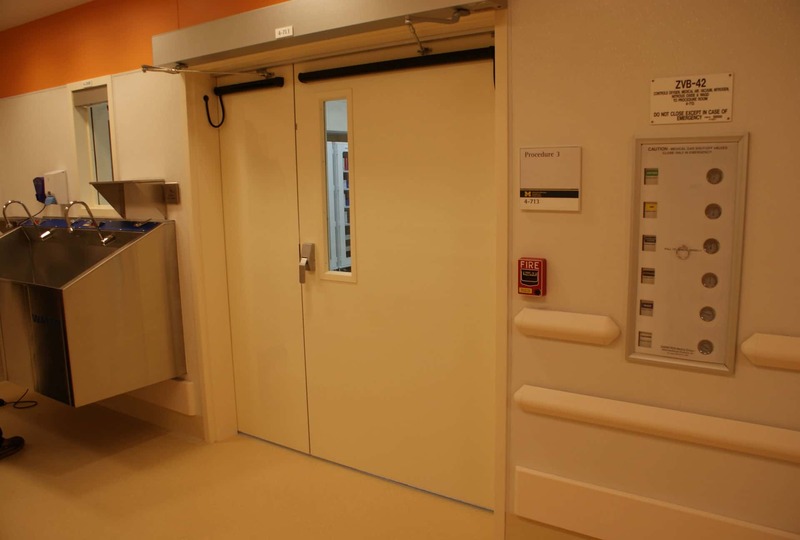 Excellence in health care facility doors is our door company priority. The FBH team of highly skilled door and hardware experts can help you solve even the most complicated door problems. Having the best hospital doors that enable easy tracking of employee and patient entry, allow for automatic ADA compliant delayed door access, or low voltage double door solutions are what we excel at in Michigan. We have software lock integration door system technicians ready to provide CAD door drawings for electricians, and our installers can integrate door electronic on site. We can fabricate custom doors for your specific purpose. We are one of a few companies certified in the Detroit Metro area to retrofit and wire fire doors on site, while still maintaining fire door ratings. FBH provides expert security door lock integration for the electronic door locks and access control door electronics in Ann Arbor, Flint, Detroit, and all of southeast Michigan. Why not have a door knob, handle or push bar that kills bacteria and germs on contact? Adding door hardware with an antimicrobial surface can inhibit the growth and spread of germs within your building. Protecting door handles with an antimicrobial coating reduces the number of bacteria in your medical facility, thereby creating a safer environment simply by installing a treated door handle. 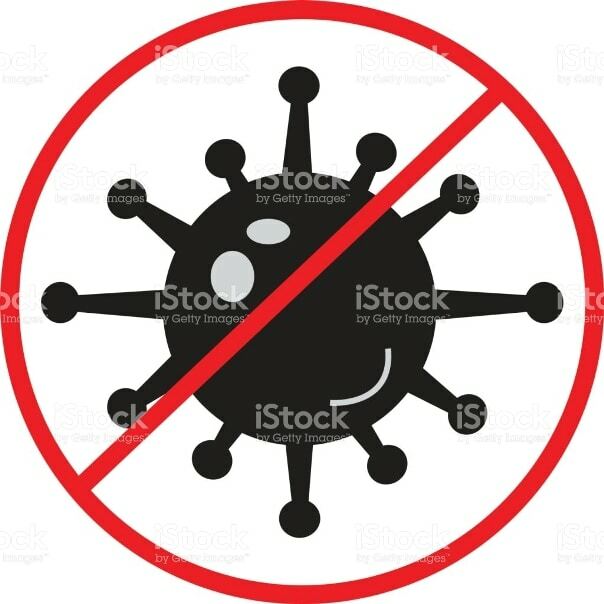 Antibacterial, antimicrobial, germ killing hardware is available through FBH in Michigan. We distribute and install Allegion door products that feature a silver ion antimicrobial coating. Integration of highly secure doorways needing alarms, or delayed auto-openers is important in many institutions. Local nursing home rennovations, secure medical laboratories, doors for Alzheimer’s patients, automatic openers for assisted living doors are just a few of the door solutions we provide- supplied to general contractors, or direct to owners, we supply and also install medical facility doors. The ability to keep track of who enters and leaves a building or room can be useful in many different cases. Certified in Fire Door Inspections, FBH can offer documentation for your annual fire door inspection required by Medicare or Medicaid door code requirements that help keep your facilities secure and your patients and employees safe from fire. We can identify door code problems, make recommendations for increased door security and building safety and ensure your facility’s doors meet NFPA 80, and life safety codes by making the necessary upgrades and door repairs. FBH Architectural Security is an authorized Schlage Primus key dealer. Key management is vital to maintaining security and restrictions on key availability. We manage Key Systems for our customers and key New Buildings expertly. Keeping records or medicine and drugs safe and secure behind a high security door and lock also demands very high quality, durable, and vandalproof door and hardware. The ability to control access making it accessible only to certain employees requires high security door hardware and in some cases, requires both mechanical and integration of door electronics and door security software. FBH creates complex key management systems and maintains secure records off site and is an authorized Schlage Primus dealer. Primus and Everest key duplication requires certification. We have over the counter sales in Flint and for those closer to Detroit, door and hardware pickup in our Ann Arbor office. We have a large fabrication shop for hollow metal door frames, and custom specialty door walls and hollow metal which is housed in our 17,000 square foot warehouse. We keep a decent inventory, and if you need our installers to help on a large project, we supply only or can also assist you by installing all or some of the products that we sell, including wiring door electronics and IT integration of electronic locks with existing customer IT platforms. FBH is your local security door expert and door solutions expert for the highest security door solutions available. We sell, service and install Heavy Duty Schlage door security hardware, Steelcraft Heavy Duty doors and frames, LCN heavy duty closers, and Glynn Johnson heavy duty panic devices. Government entities may contact FBH for quotes on replacement doors for exterior parks and recreation buildings, public restrooms, rest stop bathrooms, security border crossing, jail doors, prison doors, jails, prisons, state of Michigan department buildings, county buildings, water department buildings, MDOT doors, state park building doors. Do You Need Door Security?